The Ultimate Holiday Getaway Giveaway! This holiday season, we are super excited to team up with some of our favorite brands to put together an epic Southern California getaway giveaway! 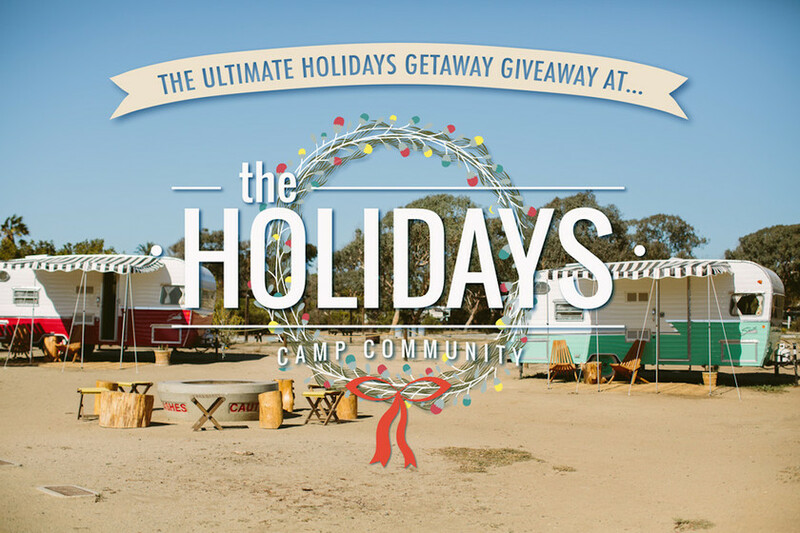 One lucky winner will be chosen for a two night stay at The Holidays, our favorite San Clemente getaway, where you can camp in high style in beautiful vintage trailers right by the beach! Also included is an insane prize pack featuring Reef Points, along with TONS of other amazing goodies! The giveaway runs today through this Friday, 12/11/15, ending at 11:59 p.m. All entrants must be 21 and over. Click HERE to visit the official giveaway module and enter!! Winners will be announced through the official giveaway module. Happy Holidays and good luck!